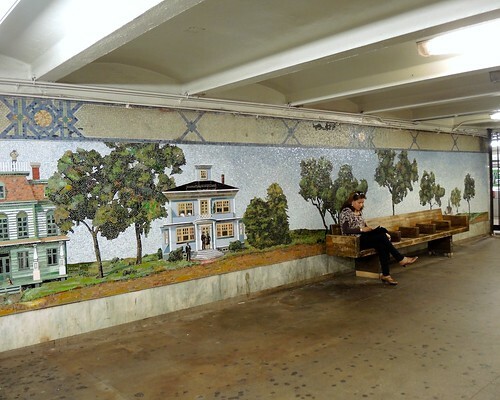 Some of the most charming works of art in New York City are hidden deep underground in subway stations. 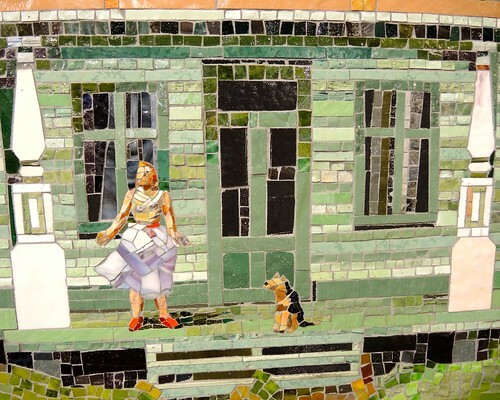 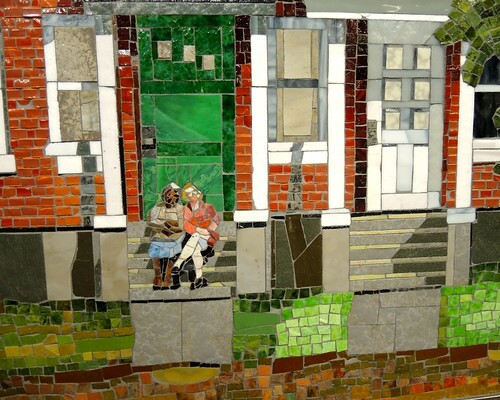 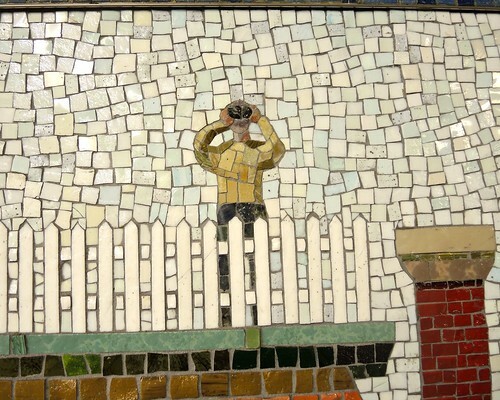 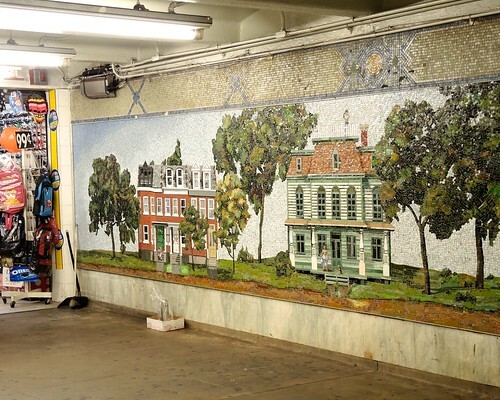 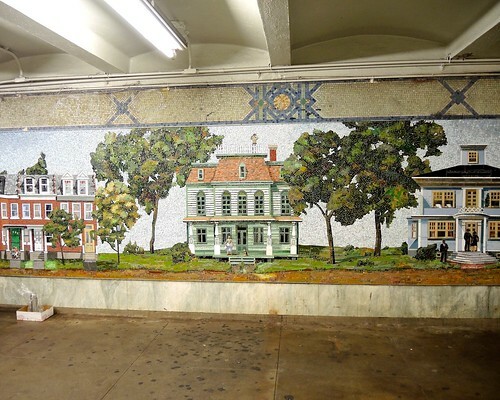 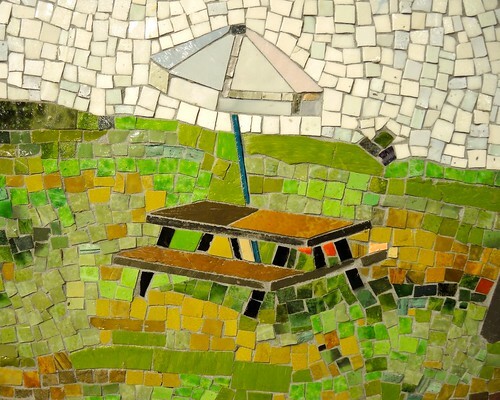 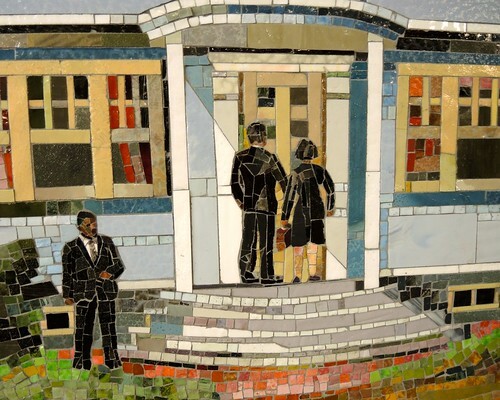 The 86th Street Station in Bay Ridge, Brooklyn, is the site of a mosaic entitled Heydays. 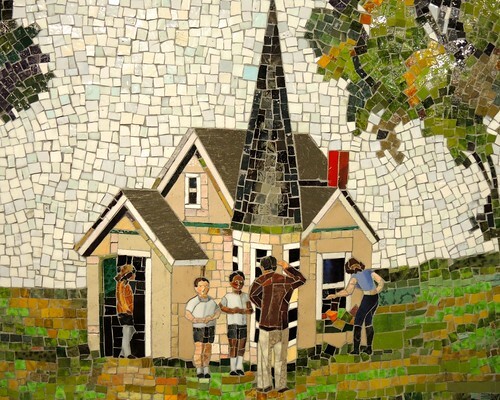 The wall-sized work by Amy Bennett pays homage to the neighborhood’s bucolic past, depicting three family homes and a church with a tall steeple, all surrounded by grass, trees and a winding brick pathway. 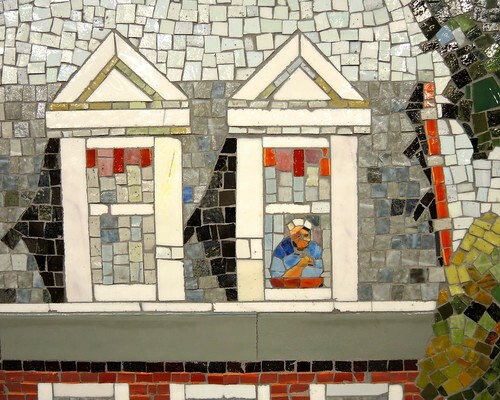 A close look at the pieces of glass reveals numerous finely-crafted details including a man peering through binoculars, empty lounge chairs upon a balcony, an old woman leaning out of a window, an umbrella-topped picnic table, and a dog sitting on a wooden porch. 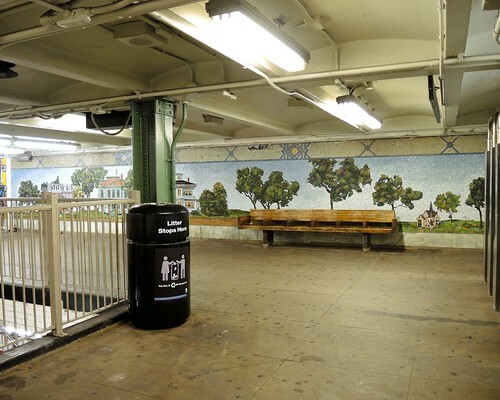 You are currently browsing the Blather From Brooklyn blog archives for September, 2013.